Lahore, originating from unknown times, has always been a masterpiece of design that city planners of today look upon with admiration and reverence. The packed city as we see today is not what it was. The open spaces, gardens, bazaars and festivals were the essence of the city. Haveli, among the other masterpieces, was and still is Lahore’s cultural soul. The concept of Haveli goes back to ancient times. Most of the Havelis of the sub continent, now India and Pakistan, were influenced by Islamic, Persian, Turkish, Sikh, Hindu and Colonial architecture. A haveli usually has a courtyard with a fountain in the centre, huge kitchens, dalans, balconies, verandas and closely knitted rooms. In the ancient Havelis, the concept of attached bath is not found. The baths and washrooms were separated from the main living area within the Haveli. 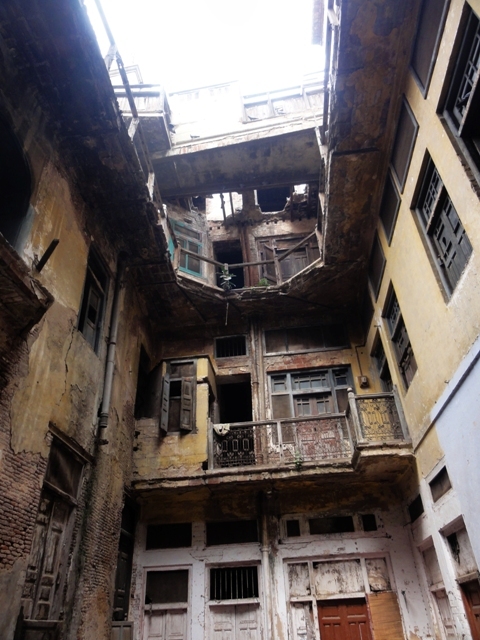 The Havelis we see today inside the Walled City are mostly the Sikh remains. There are hardly a few of the Mughal era. According to historical accounts, during the British Rule, while the reconstruction and uplifting of the city was in process much of the Mughal era Havelis were damaged. 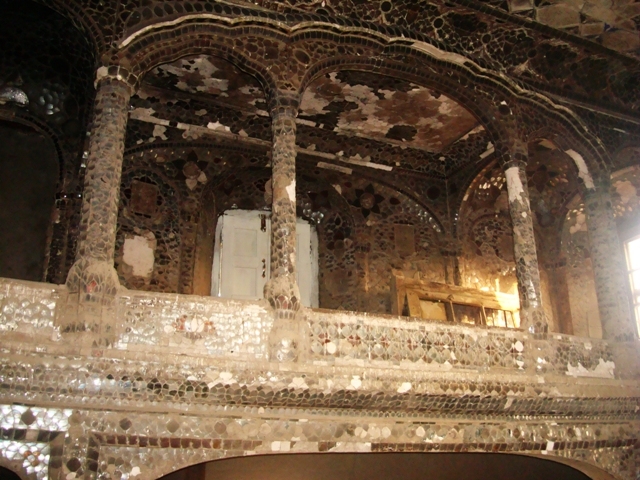 The Sikhs rebuilt the Havelis on their own techniques and designs, but still adopted certain features of Mughal Architecture. At present there are almost twenty two thousand properties inside the Walled City out of which very few Havelis are left and intact till today. These Havelis are either under government control or owned by private families. Some are maintained well but many are in shambles. 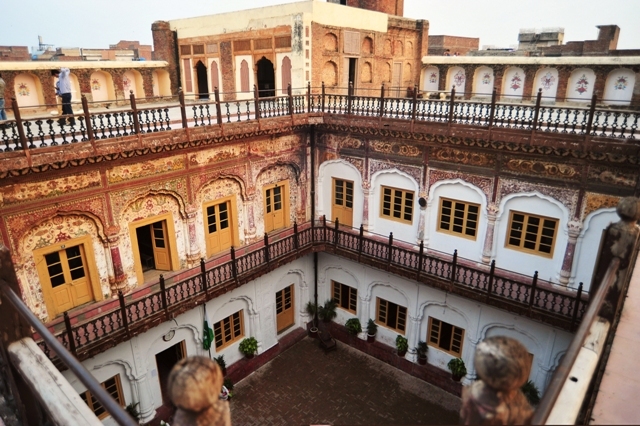 Inside Delhi Gate Lahore, the important Havelis existing till today are the Haveli Dina Nath, Haveli Baij Nath, Haveli Alif Shah and Haveli Mian Sultan. Haveli Alif Shah is located in Koocha Charakhra. This Haveli is known for its religious ceremonies and processions. One of the main processions in the month of Muharram is led from this Haveli. 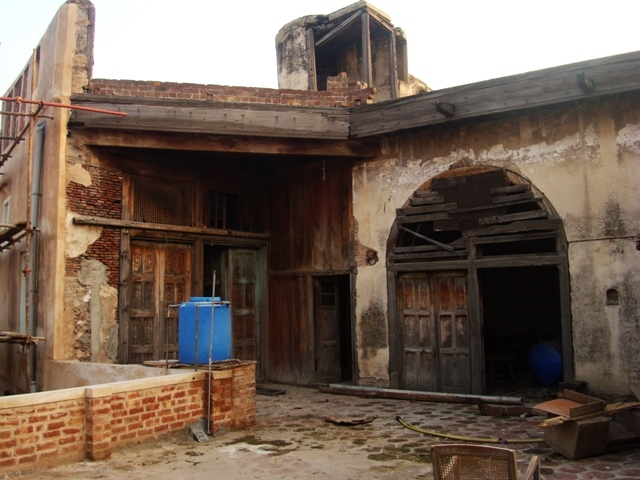 The other noticeable Havelis, Haveli Dina Nath and Baij Nath, belonged to Sikh courtiers of Raja Ranjit Singh. These Havelis are located inside Phoolon Wali Gali. Opposite Phoolon Wali Gali is the Haveli of Mian Sultan, who was serving the British and was a known hakeem and architect. Many of the British buildings were built by Sultan. 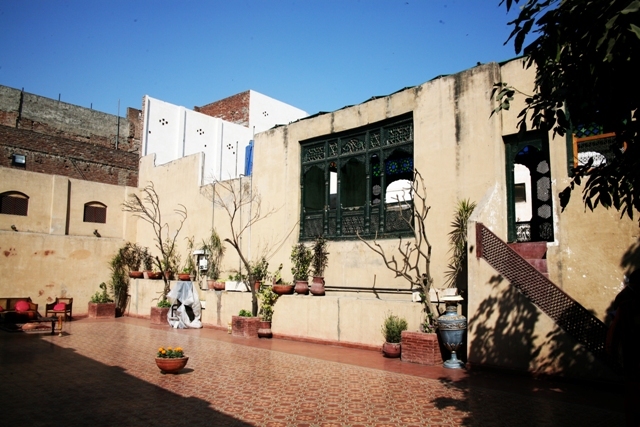 Lal Haveli is another masterpiece located inside Lohari Gate near Awami Bazaar. It is known “Lal” because of the red bricks, plaster and huge marble balconies. Another eye catching but hidden piece of art is the Noori Building near the same location. It is said to be built in the Mughal era and is probably one of the few remains of those times. Mochi Gate is acknowledged for the historic Havelis like Haveli Mubarak Begum and Nisar Haveli. These Havelis are known for the religious processions during the month of Muharram. If ever there was a Haveli that could be labelled among the oldest and the finest, without doubt one of those would be Haveli Mubarak Begum. 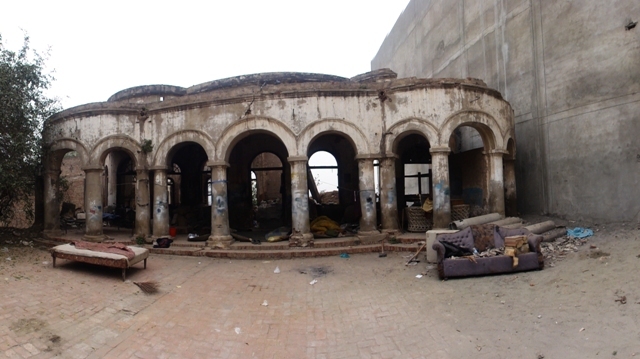 Nisar Haveli was owned by Nawab Nisar Ali Khan. 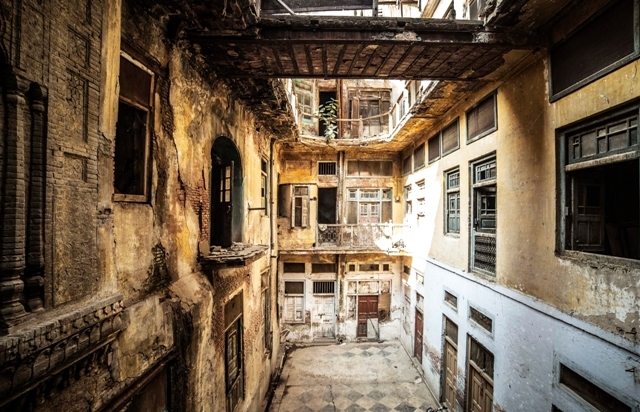 It is said by the locals that both Mubarak and Nisar Haveli were one property which was distributed among the heirs. Enter Bhati Gate and you will see the magnificent Haveli Wajid Ali Shah, Haveli of Nau Nihal Singh and Faqir Khana. The Haveli of Wajid Ali Shah belongs to Wajid Ali Shah who was the fifth King of Oudh (in present day Uttar Pradesh in India) from 1847 to 1856. Haveli of Nau Nihal Singh popularly known as Victoria School for Girls, is a treasure of Lahore. It is located at the junction of Mori Gate and the Bhati Gate. It was built by Nau Nihal Singh, son of Maharaja Kharak Singh, as his private residence. The Haveli was taken over by the British in 1849 and converted into the first public school for girls. Till now the Haveli is serving as a girls school. The Faqir family was one of the eminent families during the 1800s. The family had close ties with Maharaja Ranjit Singh till the fall of Sikh rule. The Faqir Khana Haveli is now turned into a Museum and the heirs of the same family are residing in there. Towards Masti Gate is the Haveli of Jamadar Khushal Singh, today known as Chuna Mandi Girls College. It was built by Khushal Sing, one of the most significant courtiers of Maharaja Ranjit Singh. This is at present the most spacious Haveli inside the Walled City of Lahore. 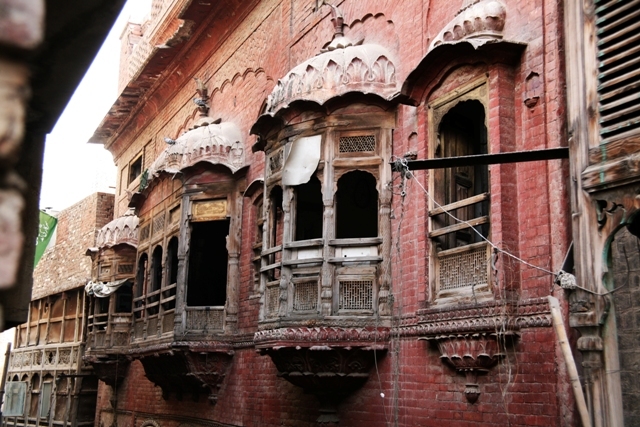 Near Taxali Gate are two important Havelis, the Barood Khana and the Haveli Dhian Singh. Barood Khana is known as Mian Salli Haveli. Once the biggest arsenal in Lahore, the 17th century Mughal style Heveli has now become the venue for glitzy and cultural evenings. It was built for the Sikh army’s commanding general around 230 years ago. It was the biggest arsenal outside Lahore Fort and built directly facing the fort as it was the tradition that arms, ammunition, gun powder, etc, had to be kept with the army chief. The present family purchased this haveli in 1870 and is living there till now. 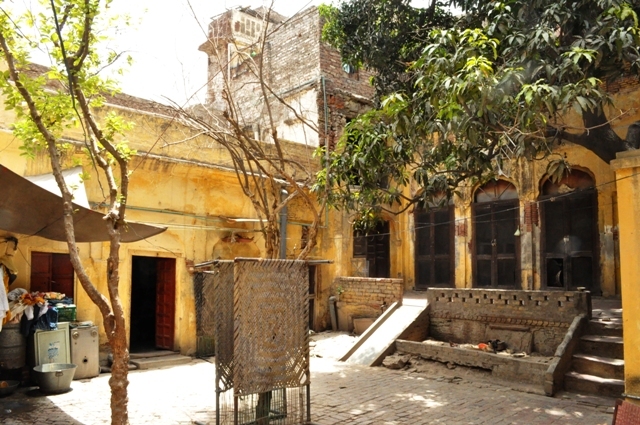 The other jewel is the Dhian Singh Haveli which was owned by Raja Dhian Singh, a courtier and later the chief minister of Maharaja Ranjit Singh. Many parts of this Haveli were damaged during the war of independence. This Haveli also served as the first house of Government College and Oriental College Lahore in 1864. Bangla Ayub Shah inside Kashmiri Gate was built in the Sikh period. In 1849, it was taken over by a chieftain Ayub Shah who came from Afghanistan. He rebuilt the building and later sold it to the Afghan Royal’s Chief Shahzada Sultan. In 1960 the family sold most part of the property. 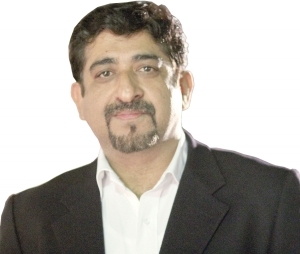 At present the Bangla is under the Government of Punjab’s possession. 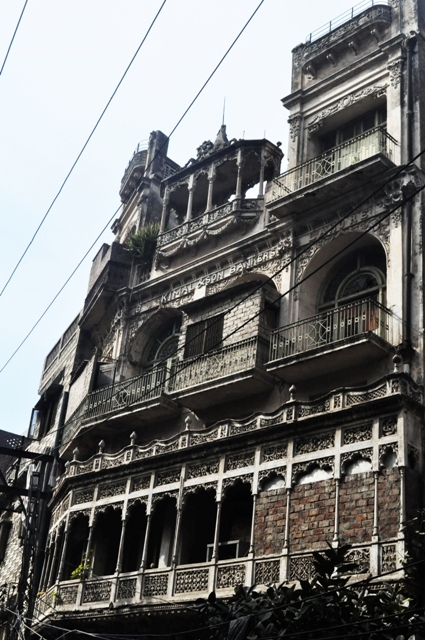 Kimla building, with beautiful exterior, is located in Gumti Bazaar, opposite Pani Wala Talaab. This building is also known as Blakki Shah building. Blakki shah was a Hindu who constructed this building in 1929. After partition the family shifted from India and resided here. Another classic haveli of Walled City is the Haveli Mian Khan, built in Emperor Shah Jahan`s reign by his Prime Minister Nawab Saadullah Khan. It was completed during the reign of Emperor Aurangzeb by the Nawab`s son, Mian Khan, who was the governor of Lahore. This grand edifice was spread over two square kilometres. When the British took over Lahore in 1849, they converted Rang Mahal into a Mission School. Till date, the building is being used as Mission High School. This is a brief piece on the gems of Lahore. With the passage of time, the concept Haveli was replaced with a house drastically reducing the open spaces and increasing the covered area. Maybe this was an impact of division of property and increase in the population. These city’s remaining jewels need to be saved. These Havelis should be turned into art centres, public libraries, cafes, museums and community halls. Otherwise the remaining footprints would also vanish with the passage of time.